When it comes to fonts, most of us are passive consumers. Type is under our noses all day long — in our TV commercials, our websites, our magazines and newspapers. But most of us — at least those of us who aren’t designers — don’t think much about where it comes from. As it turns out, there is a whole industry surrounding fonts, and some of the most exciting innovation in the business is coming from Martha’s Vineyard. The Font Bureau was founded in 1989 by Roger Black and noted type designer David Berlow, a resident of West Tisbury. David’s brother, Sam Berlow, joined as general manager, splitting his time between the Vineyard, Vermont, and the company’s headquarters in New York and Boston. 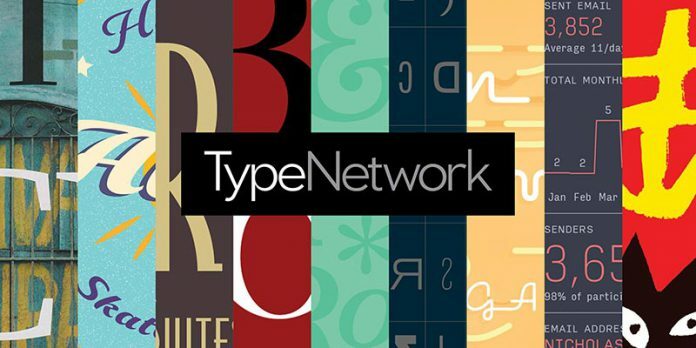 In June, the Font Bureau launched Type Network, a sort of “digital mall” where foundries (companies that design or distribute typefaces) can collaborate to make their fonts available to a global marketplace. Sam Berlow is president, and David serves on the board of directors. The launch of Type Network is just one channel through which the company has risen to meet the ever-evolving technology of the digital age. The Font Bureau was initially created to serve magazine and newspaper publishers grappling to preserve their typographic brand identities as printing moved from traditional presses to digital methods. The foundry’s first customers included major papers and magazines: the Wall Street Journal, the New York Times, the Washington Post, Rolling Stone, Sports Illustrated, Time, and Newsweek. “Eventually, our clients were almost everyone you’d see on the newsstands,” Mr. Berlow said. And before long, that reach expanded to European and South and Central American markets. Fonts are sold based on licenses. There are separate licenses for different uses; desktop, web, applications, and ePubs. Costs then vary based on number of publications, webpage views, or length of use. That’s where Type Network came in: to make finding that unique, flexible font (and the appropriate licenses) easier on designers. It also makes selling fonts much easier for small independent foundries. That creativity and independence has allowed Font Bureau designers the freedom to dream up the future of fonts. Fonts that are endlessly customizable when it comes to weight, width, and more. Fonts that flex from screen to screen. Fonts that make you want to keep reading them. Or stop reading. And just look. For more information on the Font Bureau and Type Network, visit typenetwork.com.